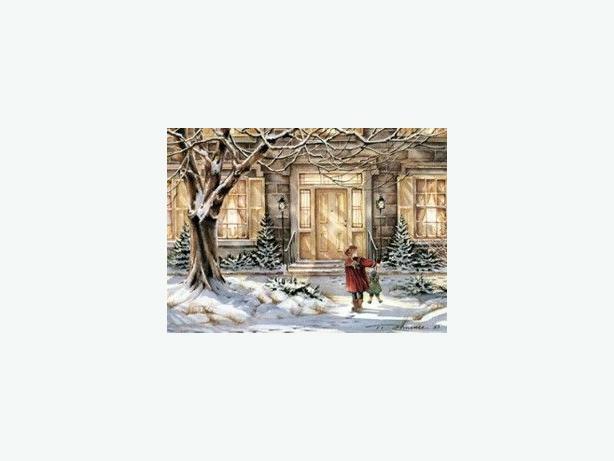 4 winter scenes by Trisha Romance. Pictures themselves are 5 1/2 inches by 7 inches. Gold frames, cream matte. Always been in smoke free home. Would go very nicely with the large Christmas at the Cottage print as a grouping. Bought and framed by Koyman Galleries in Ottawa.